ULabs is coming to Canada with youth workshops aimed at discovering and developing passions for possible career development. 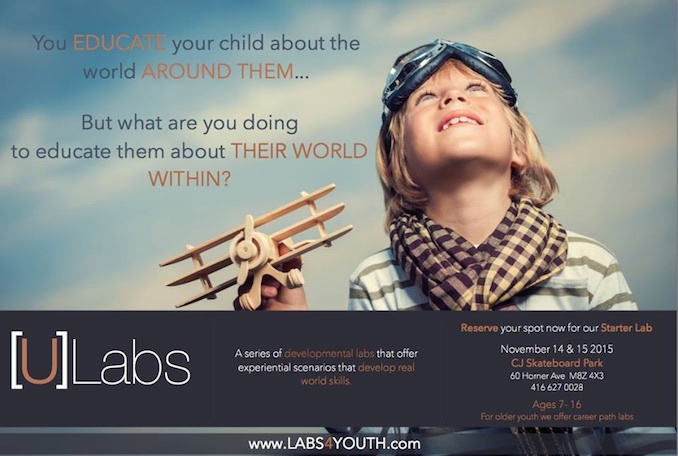 On November 14th and 15th, 2015, ULabs will run their introductory workshop aimed at helping youth discover their true passions and how to build on them. Through this discovery, the untraditional lessons will help youth self-learn with core concepts of self and skills development provided by the instructor. 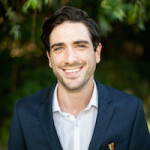 Participants in the workshop will learn practical, real world skills while also improving their confidence, communication, strategic thinking and self-value. ULabs has a wide range of programs that will be available to Toronto’s youth. Those involved will learn skill sets that could help them in future careers through the things that they already love. Other courses that will be offered include [U]Lab: Make[U]P, [U]Snap, Build[U], Inc[U]bate, Improv[U], [U]Focus, [U]Friends, [U]Nail.IT, Defend[U], [U]Survive and [U]HairDo. One will be able to put their hobbies to real-world use which can be missed in traditional education systems. The event will take place at CJ Skateboard Park at 60 Homer Ave.
For more information about ULabs Toronto, visit their website.